The leaders of the two Koreas met in Pyongyang for landmark talks which wrapped up with a joint agreement, which the South Korean authorities have praised as a de-facto end of the decades-old state of war on the peninsula. 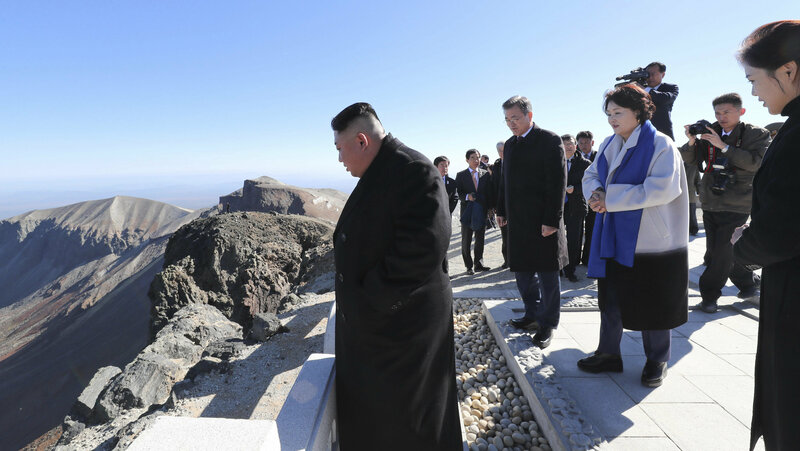 On Thursday, North Korean leader Kim Jong Un and his South Korean counterpart Moon Jae-in trekked Mount Paektu on the Chinese border, which is traditionally considered the ancestral place of origin of the Korean nation. 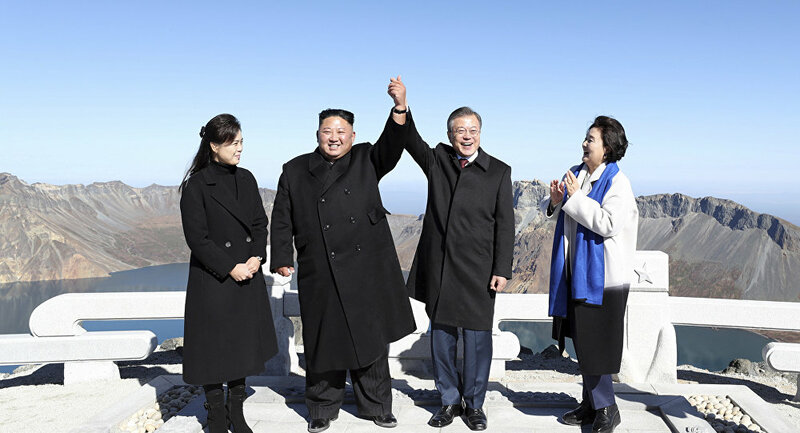 "Many people in the South would go to Mount Paektu from the Chinese side, but I decided not to, pledging to myself that I would go by (only) setting foot on our soil," Moon told Kim after climbing the peak of the mountain, as cited by Reuters. This symbolical act of North-South unity came after three days of Pyongyang talks, devoted to the further improvement of relations, denuclearization and dialogue between North Korea and the US. This is the first visit by a president of South Korea to Pyongyang in nearly 11 years; former president Roh Moo-hyun traveled to North Korea back in October 2007. The situation on the Korean Peninsula has significantly improved since the start of the year, with Kim and Moon holding two other bilateral meetings earlier, in April and May.